Pure Cypress Essential Oil refreshes and restores, and is a popular ingredient in natural deodorants. Cypress essential oil is a soothing oil with a refreshing, invigorating, woodsy aroma. It's lovely evergreen, smoky notes make it one of our very favorites. 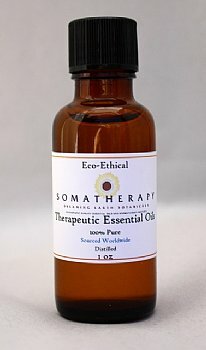 This is an astringent oil useful for enlivening and caring for the skin, and works as a natural deodorant. Cypress is popular in skincare blends, especially for oily skin formulas, and many include it in cellulite blends. In a massage base, cypress is warming and soothing and diffused into the air, it provides a fresh and uplifting environment. Traditional use: antiseptic, astringent, deodorant, soothing agent, skin conditioner.